When Is the Best Time of Day to Take Siberian Ginseng? How Does Ashwagandha Boost Energy? The search for the proverbial “Fountain of Youth” has been going on since the origin of human beings, most likely. The average lifespan in most industrialized countries ranges from about 75 to 84 years, with females outliving males by at least three years, according to Central Intelligence Agency 2011 statistics. Good nutrition, disease avoidance, available medical care and environmental factors affect longevity -- although certain supplements are reputed to also help you live longer. Astragalus is a Chinese herb with a long history of promoting youthfulness, and certain scientific studies are providing proof. Consulting with a health professional before embarking on an herbal supplement regimen is always recommended. Astragalus membranaceus is a plant native to China, especially the northern regions. The roots of astragalus are used medicinally, usually after they are aged from between four to seven years. Once properly harvested, the roots are often made into extracts, tonics or teas. Within traditional Chinese medicine, astragalus is considered a vital herbal tonic that stimulates the immune system and promotes health and longevity, especially when used on a long-term basis. According to “Chinese Herbal Medicine: Materia Medica,” astragalus contains powerful antioxidants, flavonoids and other substances that display antibacterial, antiviral and anti-inflammatory properties. Telomeres are the protective ends of chromosomes that slowly shorten and wear out each time cell division occurs in the body -- a process central to human aging. The theory is that telomeres act as a kind of countdown clock, so when they wear out, cell division stops and tissues quickly degrade and die. Telomerase enzymes work to renew telomeres, although they are not produced as the body ages over time. According to a study published in a 2008 edition of the “Journal of Immunology,” substances within Astragalus root -- called cycloastragenols and astragalosides -- have the ability to activate telomerase enzyme production, which could prevent telomere depletion and rebuild new ones. In theory, cell replication is not degraded and tissues age slowly. Two patented forms of astragalus root extract are known as TAT2 and TA-65. 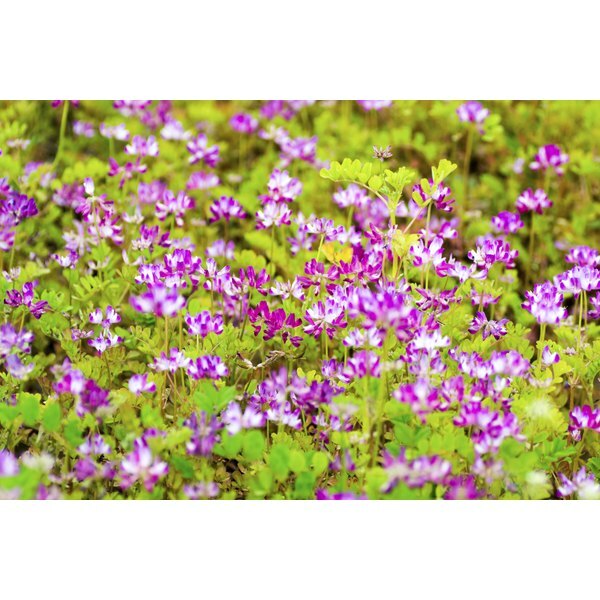 Astragalus also displays strong immune-stimulating and antiviral properties, which promote health and longevity by thwarting infectious diseases. According to “Medical Herbalism: The Science Principles and Practices of Herbal Medicine,” astragalus activates the p-53 gene, which stimulates synthesis of interleukin-2, a substance that has anticancer abilities and is able to directly kill many viruses. Astragalus also stimulates production of natural killer cells for the immune system, which circulate through the bloodstream and lymph, attacking foreign invaders. Unlike other immune-enhancing herbs that perform better over short durations, such as echinacea, astragalus is most effective when taken long term. Obviously, if you are taking astragalus to reduce telomere damage, then daily consumption makes sense. In Chinese herbalism, astragalus is considered both safe and effective when used long term at dosages up to 25 g daily, according to “The Way of Chinese Herbs.” A typical dosage of the standardized extract ranges from 250 to 500 mg three times daily. The main contraindication is that astragalus should not be taken if you have a fever, as it may intensify or prolong it. Side effects rarely occur, although stomach upset and allergic reactions are possible.